Kristina's first degree was in Politics from Exeter University and, having worked briefly as a research assistant at the House of Commons, she decided to qualify as a solicitor and spent two years at the College of Law in Chancery Lane taking the law conversion course and solicitors finals examination. A summer internship in New York with shipping and admiralty law firm Healy & Baillie was followed by nine months in the legal department of a shipping company in Stockholm. She qualified at Norton Rose in London in the mid 1980s. Instead of staying with shipping litigation she transferred her skills to investment banking where she worked on complex transactions and innovative financial instruments, which typified the post Big Bang capital markets scene. In 1991 she retired as a Vice President with JP Morgan in order to enjoy family life with the sculptor Jonathan Kenworthy and join him in his frequent travels to Africa and USA. However, life in rural Surrey was not without its challenges and she soon became embroiled in local planning battles. She joined the Campaign to Protect Rural England as a volunteer and enrolled for a Masters in Environmental Law at University College London. Events then took her in different directions for some years as she and her husband set up LionTree Publications, this in turn led on to her to writing and producing a ‘Family Landscape’ for The Grosvenor Estate. In 2011 Kristina, together with CPRE Surrey, decided to challenge Mole Valley District Council’s decision to permit an exclusive golf course on a protected landscape and rare habitat in a county already awash with golf courses. As a director of Cherkley Campaign Ltd she worked with Richard Buxton in judicial review proceedings, which were spectacularly successful at first instance only to be overturned by the Court of Appeal in 2014. Rather than let disappointment overwhelm her, and with Richard's encouragement, Kristinagot her practicing certificate back and has been delighted to be able to continue working with the firm, while based in Surrey and London. 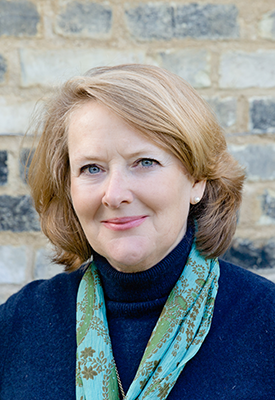 She was instrumental in CPRE Kent taking successful proceedings against Dover DC – an important case which went to the Supreme Court for clarification on the common law duty to give to reasons. She has been involved with a highly unusual case in the Consistory Court, as well as cases in the High Court, Court of Appeal and the Supreme Court concerning a wide range of planning and environmental issues including screening opinions, FOI requests, EIA Regulations, registration of Town and Village Greens, development proposals in the Green Belt, Metropolitan Open Land and parks in London, air quality issues, abstraction licensing and a statutory challenge of Waverley BC’s Local Plan. Kristina has chaired the board of trustees of CPRE Surrey since July 2016, she gives legal advice to the London Green Belt Council and in December 2018 she became an independent trustee of the Kew Foundation.